Rev. Carmen Cook hopes the church will become more inclusive in embracing worship styles of other cultures, including Native American. “We don’t need to make all people white. That’s an insult,” she observes. “If we respect our different cultures and practice loving each other for who we are, that would take us a long way,” she adds. Carmen, pastor of First United Methodist Church in Gladwin, is a Native Americans active as a leader within The Michigan Conference. She also pastored Onaway and Millersburg UMCs before moving to the Central District in 2018. At one point Carmen served as the chair of Detroit Conference CONAM (Committee on Native American Ministries). That’s the agency that determines the recipients of grants made from the funds that return to the Michigan Annual Conference from the Native American Ministries Offering. Native American Ministries Sunday, celebrated in 2019 on May 5th, is one of six Special Offerings of The United Methodist Church. 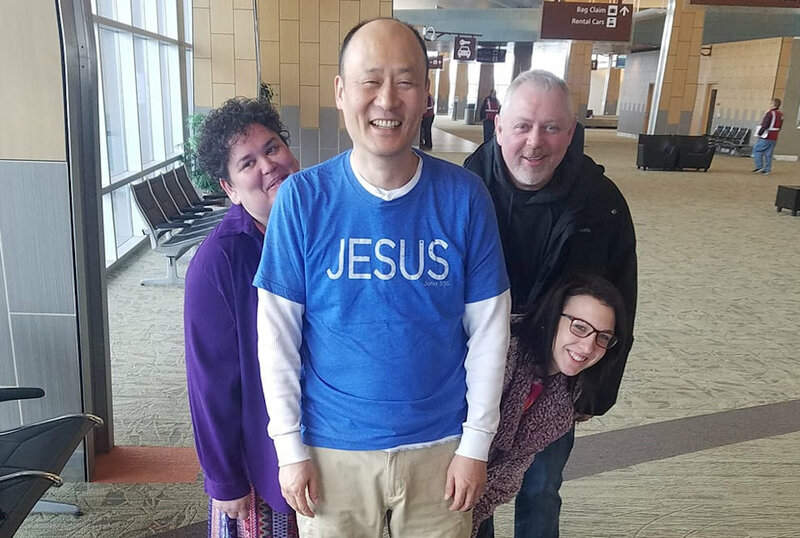 This offering — half of which returns to the Annual Conference to be distributed as grants to Native American ministries — is significant for Michigan United Methodists. There are 149 Native American churches in The United Methodist Church. Eight of them are in Michigan: Bradley Indian Mission UMC (Shelbyville); Chippewa Indian UMC (Mt. Pleasant); Salem Indian Mission UMC (Hopkins); Greensky Hill Indian Mission UMC (Charlevoix); Kewadin Indian Mission UMC; Northport Indian Mission UMC; Oscoda Indian Mission UMC; and Zeba Indian Mission UMC (L’anse). In addition, there are two ministries serving Native Americans: PaWaTing MaGedwin Kikaajik (Native American Elders Program, Grand Rapids) and Saganing Native American Center (Standish). They join other United Methodist congregations across Michigan in outreach and ministry to the 71,500 Native Americans living in the state. Carmen was born in Oklahoma, registered there in the Chickasaw Tribe through her mother’s lineage. But she grew up in Florida, where her father was a pastor for 18 years. “I grew up,” she says, “surrounded by French, Italians, Seminoles, and Miccosukee Indians.” She developed a “deep appreciation for how they viewed both God and the earth,” she adds. She explains that deep connection to the Creator and the creation is a common experience for Native Americans. After moving to Michigan 15 years ago, Carmen answered the call of God in 2010. She then trained at Freewill Bible College in Tennessee. She served as a youth pastor, visited Panama as a missionary, and taught Sunday school, “all a good training ground.” At that point she encountered the Rev. Pat Robbins, Grayling: Michelson Memorial UMC, who asked, “When are you going to say, ‘It’s time, Lord?’” That began her United Methodist connection. “All my life,” she reflects, “I have jumped ahead of God. So, for three years God refined me and brought me to The United Methodist Church.” She is now in her second appointment as a full-time local pastor. A kit of resources is available to promote Native American Ministries Sunday. Note: Those attending the 2019 Annual Conference can learn more about Native American culture at a special event held Friday evening, May 31. An Anishinabe Dance Exhibition will be held at the Grand Traverse Resort, bringing in folks from different tribes in the region. Performers will share songs on the drum and do powwow-style dancing in a variety of styles. Annual Conference members wishing to participate in the dining offered at this event must include food preferences in their Annual Conference registration. No late registration or onsite purchase is available.